Which movie is about Santa's reindeer? In which movie is Santa Claus on trial? What's the name of the hard-to-get X-Mas toy in Arnold Schwarzenegger's "JINGLE ALL THE WAY"? Which of these is a modern day version of Charles Dickens' "A CHRISTMAS CAROL"? "IT'S A WONDERFUL LIFE" is a movie from a short story called what? Which actor played Santa Claus in the 1994 version of the movie "MIRACLE ON 34TH STREET"? Who played the "Grinch" in the movie remake of the cartoon classic "HOW THE GRINCH STOLE CHRISTMAS!"? 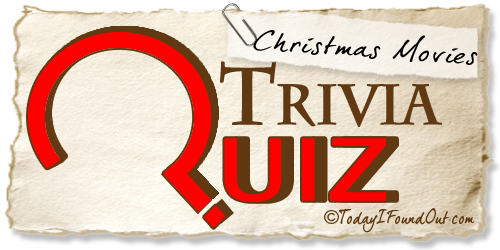 What famous Bing Crosby Christmas song is also a movie? What was Clark Griswold's son's name in the movie, 'National Lampoon's Christmas vacation'? In the first Home Alone movie, what did the Bandits name themselves?